The charming Cherry Tree will inevitably leave you in awe. In awe of the tree itself in its entirety, a plant sacred to Venus in Greek mythology and a lucky charm for lovers. Reduce text In awe of its enchanting flowers, which blossom quickly, showing all their splendour and all their fragility, as though to let us know that our most vulnerable side is precisely what makes us special. In awe of its fruits, sweet but never sickly, which, starting from June, adorn our tables and enrich them with new flavours and colours. 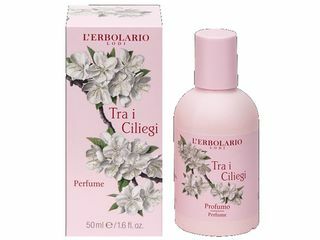 And precisely as a tribute to such a generous plant, we have formulated the products of the line "Tra i Ciliegi” - Amidst the Cherry Trees, which will prove to be equally generous with your skin. Exfoliating Oil Gel for the body with microgranules of Cherry stone. The scent of blossoming cherry trees in a sweet fragrance.